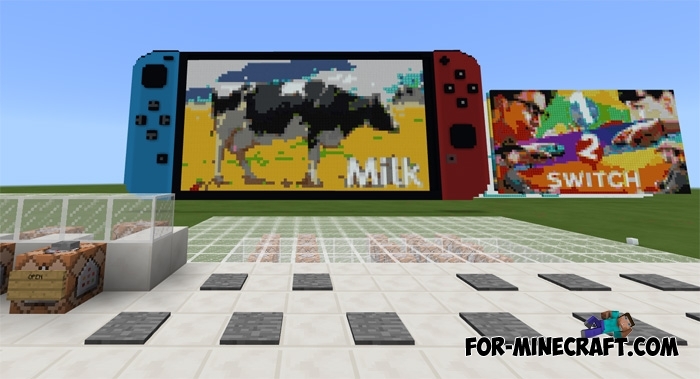 If you do not have a Nintendo Switch in real life then by installing this map you can get it in Minecraft Bedrock absolutely free. Of course this console has a limited set of features but the basic principle of work has been moved to MCPE. 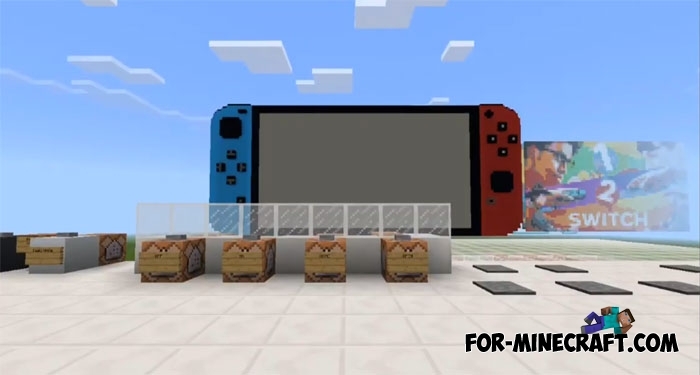 Try to imagine how much effort you need to realize Nintendo in the game with the help of command blocks and redston chains. The map offers a fairly convenient control which consists of levers, buttons and pressure plates. 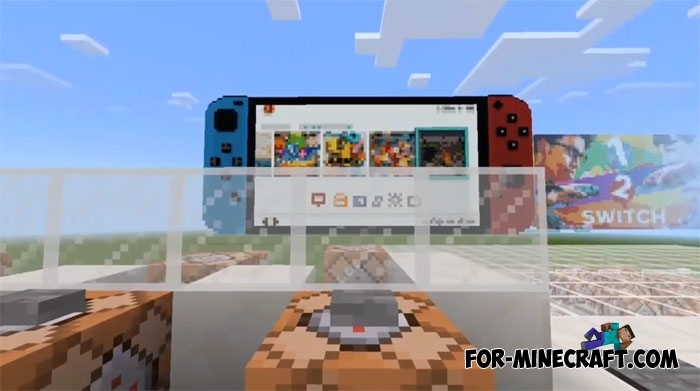 Buttons are responsible for on / off and other basic functions, pressure plates are control inside the console, and levers allow you to change the color. As a result, this map is a kind of artwork, just look at the command blocks zone. 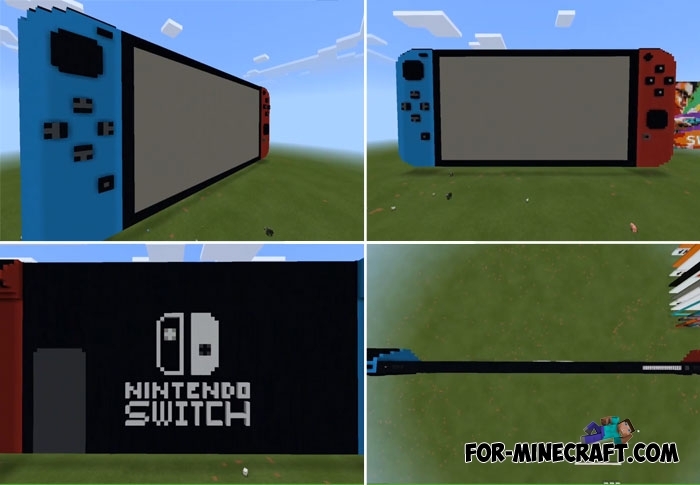 If you have enough skill to build mechanisms and know how to configure command blocks, then of course try to add something new.